I’m writing like crazy right now on book 3 in the Sushi Series, The Lone Rice Ball (working title). For most of my books, I have certain albums that I find I play often while I’m working on the rough draft. For this book, one of those albums is Stand by Avalon. The song below, especially, has been uplifting and awe-inspiring. Which is apropos because my heroine has to learn to slow down and feel the awe of God’s presence. I’m also reading Revelations right now (almost done with the book) and this song reminds me that the New Jerusalem is coming, and I’ll see it one day! Loved the words to the song. 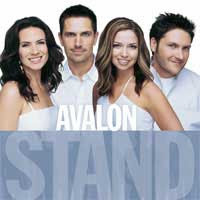 Avalon is one of my favorites. I'm inspired by music and books. Reading the purpose driven life. wow! It's powerful! I'm excited for you that your books coming out and that there's more to come. All your hard work is paying off!